Just a few left from The Cryptics 10-year anniversary show on 8/25/18. Featuring front, back, and sleeve print. 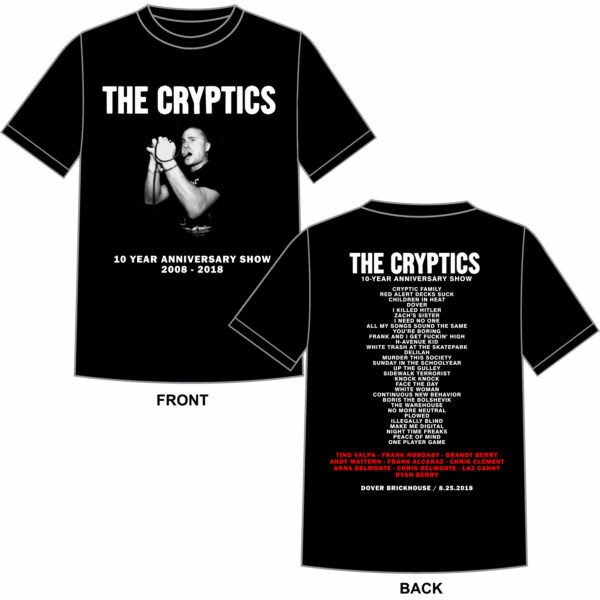 These were exclusive shirts for the show that have the setlist and lineup on the back side. Available in S, M and L while supplies last.